Henry Hamels has a passion for the game of tennis. He is the captain of several mixed and men’s USTA tennis teams. He is a member of the International Alliance of Racquet Technicians (IART) as well as the United States Racquet Stringers Association (USRSA). 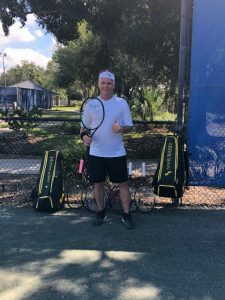 Henry takes pride in consulting with every client to uncover their stringing needs so that he can help them get maximum playability out of their racquet. He is a lifelong student of the stringing business and is always focused on the details.